Funko’s Pop! 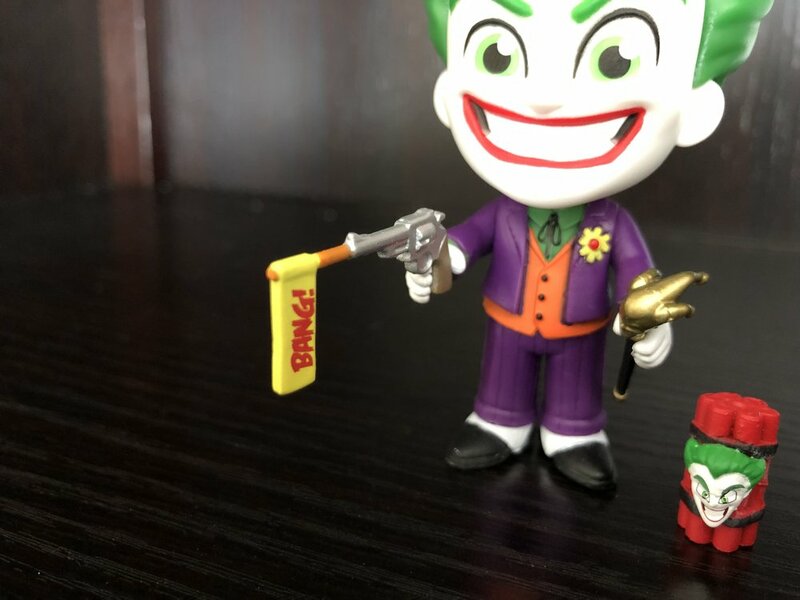 vinyl collectibles are a worldwide phenomenon, and even if you have no interest in comic books or other nerdery, you’ve likely seen them around and recognize their distinctive styles—even if you don’t know what they’re called. 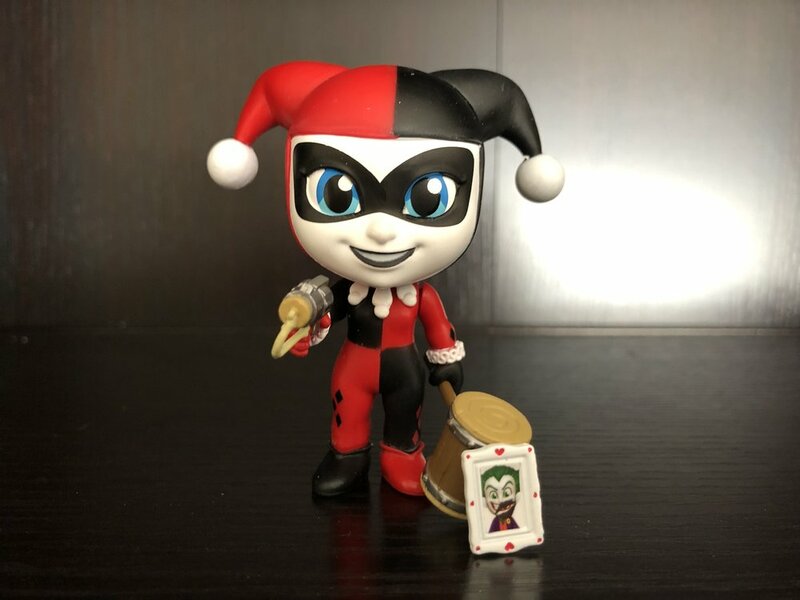 But Pop!s aren’t all Funko does, and they’ve seen great success with the Dorbz, Pint-Sized Hero, and other lines. 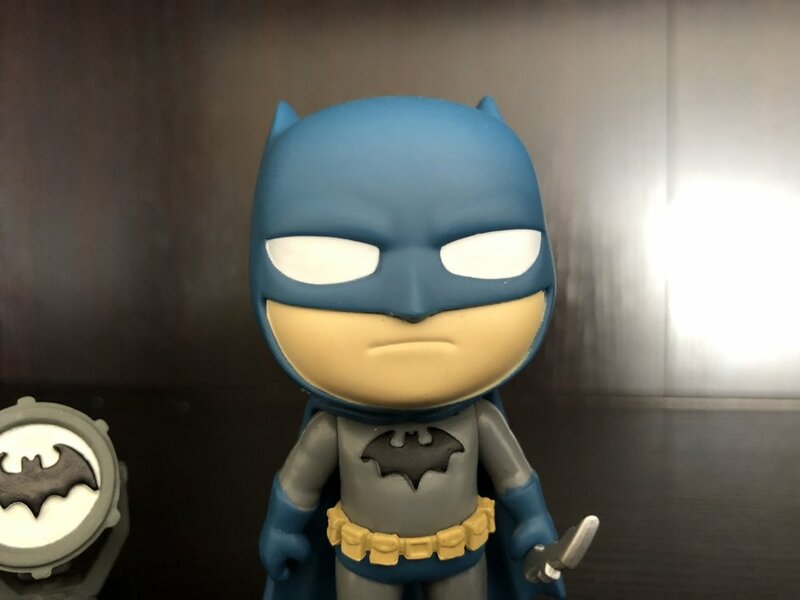 Five Star is one of the later lines to enter Funko’s catalog, and after seeing indisputably cute stylings of their DC Super Heroes figures at Toy Fair, I asked Funko to send a few out so that I could take a look. So let’s do it! This is essentially the Hush Batman, but a whole lot cuter and with much smaller biceps. He includes the Bat Signal and a Batarang, the latter of which can be put in his hand (as you can see in the pictures). The arms and head are posable (something true of the entire line), and while the movement is limited, you have some flexibility when choosing display options. If you take it out of the box, that is. 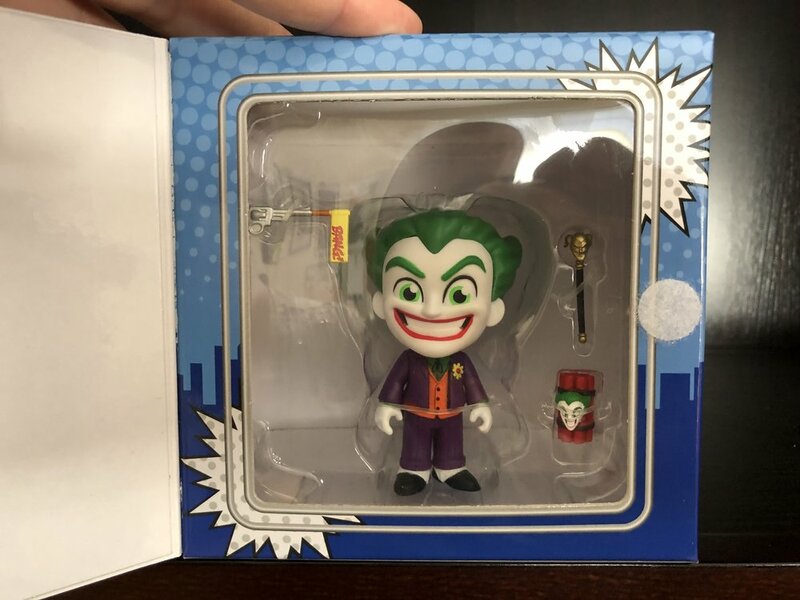 Joker looks fantastic, and his smile is adorable. The costume detail is delightful, hitting all of the major points—the flower, the pin-striped purple, the old-timey socks and stirrups, the vest. But to me, the accessories are where this one really shines. 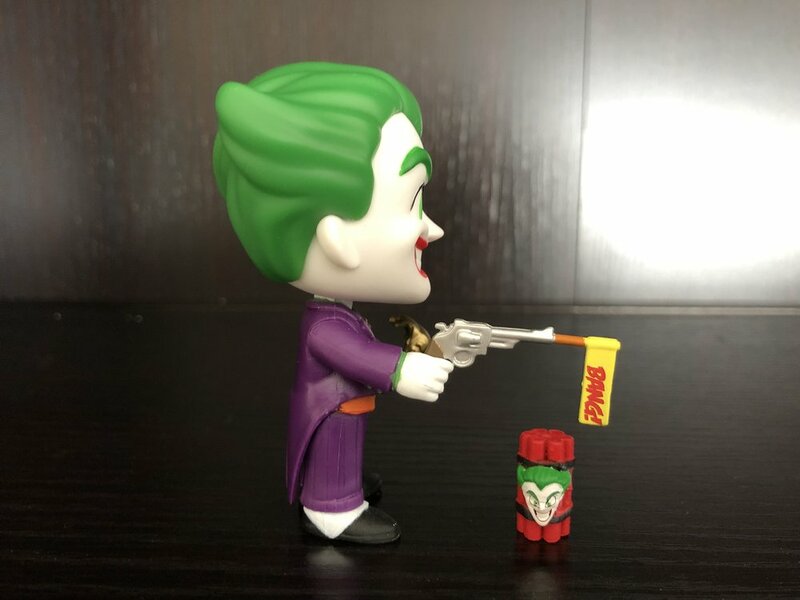 He’s got a trick gun, a sweet cane, and—my favorite—some dynamite with an adorable Joker face on it. 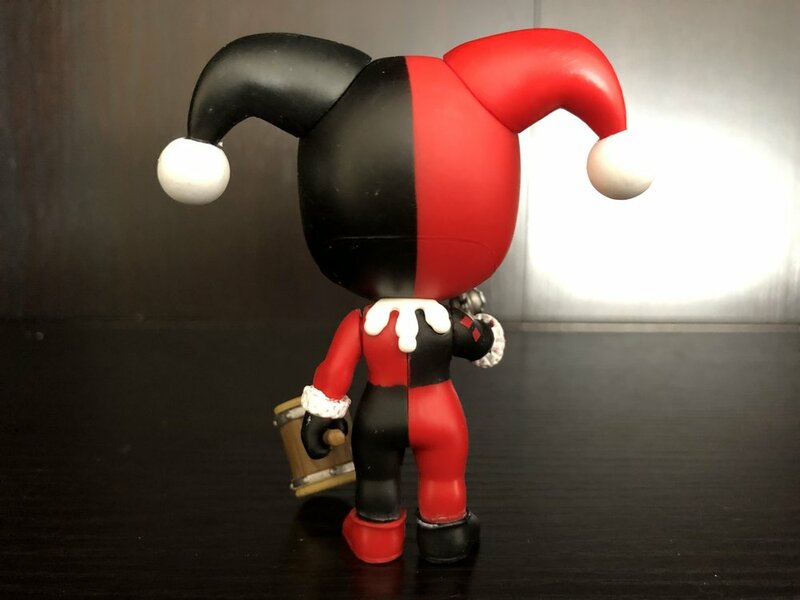 They had me at the classic Harley costume, but the cute face, mallet, and pop gun are an added delight. The defaced picture of her Puddin’ is nice, but unless you’re displaying it in her hand, it’s tricky to find a place for. 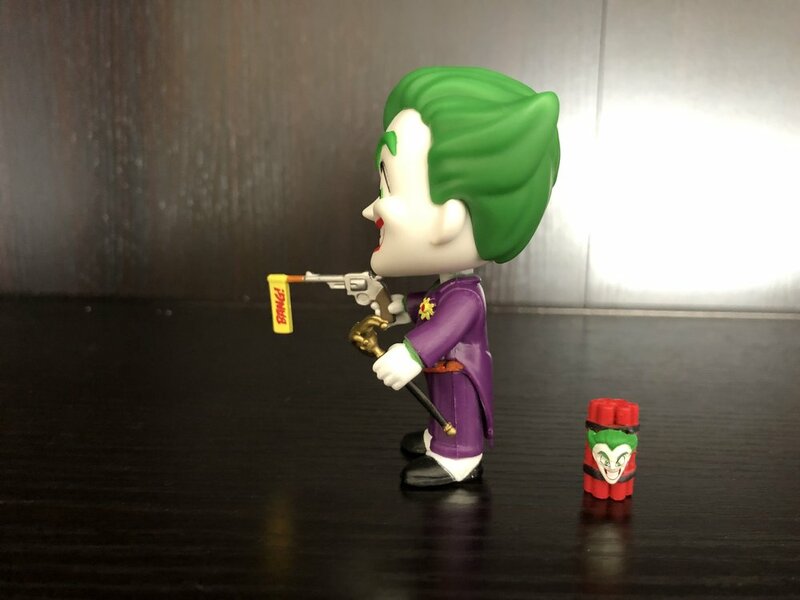 My preference is to have the mallet and the pop gun in hand, so the picture doesn’t have much of a place here. Look, I didn’t like the Babsgirl of Burnside, either, but for the Five Star aesthetic, this suit actually works. I don’t even hate the fact that they included the Bat-logo smart phone made famous from the Burnside debut cover. Her grapnel is really nice, too. Mine had a little bit of paper stuck to the back of her head, which is hardly normal, I would imagine, but just take a peek before you leave the store (or when it first arrives, if you ordered it). Ivy is pretty much in her Animated Series costume, which is just fine with me. The Five Star aesthetic makes her look much more squat—in the best way—and I love the cute little face they gave her. Unfortunately, she’s somewhat poorly balanced, and I had a difficult time getting her to stand up until I put the rose in her hand and posed the arm out to shift the center. The other accessories—a gnarly fly trap and a perfume bottle—look great, but the fly trap won’t stand on its own, and I was unable to get Ivy to hold the perfume bottle. That might make it a bit hard for her to poison her victims, and—more relevant to me—it might make it difficult for me to display her with any accessory except her rose. 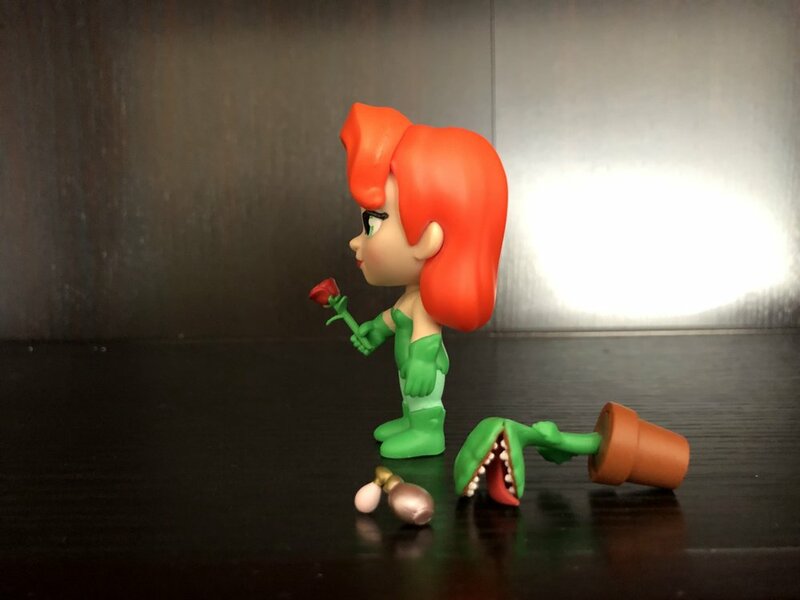 She does look great, though, so if you can set aside the two troublesome accessories (or anchor the fly trap plant with some adhesive), she’s still worth it. 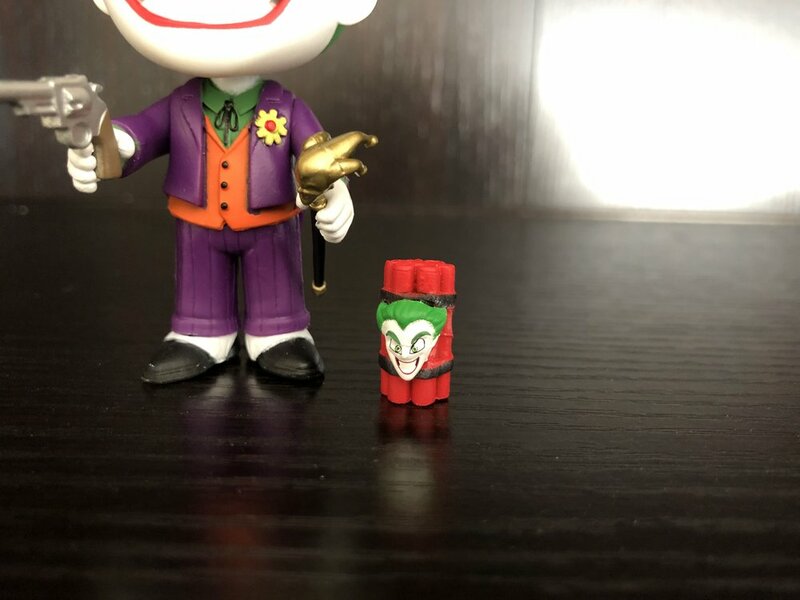 If you dig this aesthetic (which reminds me quite a bit of Quantum Mechanix’s Q-Figs), and you dig DC Comics, these are a nice addition to your collection. They selected some great Bat-characters to begin with, and hopefully there will be some other DC characters on the way soon. You can find or order the Five Star collection wherever Funko’s products are sold. Apr 1 "Ragnarök" and roll through Norse mythology as Walt Simonson tells tales of "The Breaking of Helheim"